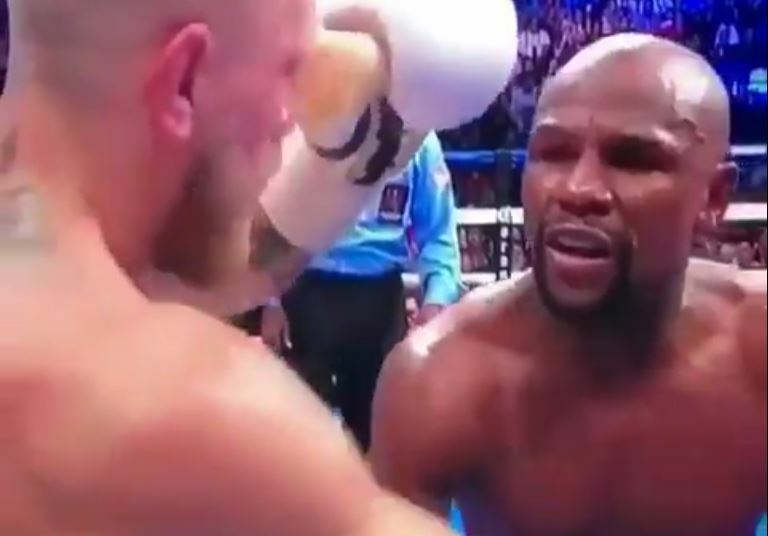 When it came towards the end of the fight the beating Mayweather put on over matched Conor McGregor was easy for the American. You got the feeling that when he wanted, the beating Mayweather was capable of putting on McGregor was at his leisure whenever he saw fit. After the first four rounds he couldn’t miss with the right hand and despite been well past his best, nearly 41 and out of the ring for over two years, Mayweather closed the show with ease in the end. Big respect to Conor McGregor however for staying in there as long as he did and shipping the punishment that was coming his way. Although afterwards McGregor said he would have liked to have seen the final bell, as you can see from the above, the referee made the correct decision to save the 29 year old Irishman for another day in his regular profession of MMA. The memes and videos have been flying around overdrive online today in what was perhaps the most unusual event in boxing history looking back on it.